In the event that you are having an astrological consultation, the only thing that you are seeing is the explanation of your astrological chart and the issues that needs your attention. You are probably not aware about the years of study and our effort and time in perfecting our reading. When you acquire our Astrology Singapore service, you can guarantee that our reading will be ethical and intelligent. Sanna Holistic House are dedicated in offering only the highest quality of astrological reading that can assist our client in finding a solution to their concerns. When we are conducting our reading, you will not just get our pure concentration and attention for an hour. You will also experience our dedication and passion for this study. We are committed in providing you a reading and present it in a way that you can easily understand. We are also continuously studying on new approach that will allow us to translate the information better. The people behind our company have an authentic love for Astrology Singapore. We are aware about how this powerful tool can be used to attain a new level of self understanding. The way we interpret astrological chart is based upon our years of studying the basic of astrology such as aspects, houses, planets and signs. 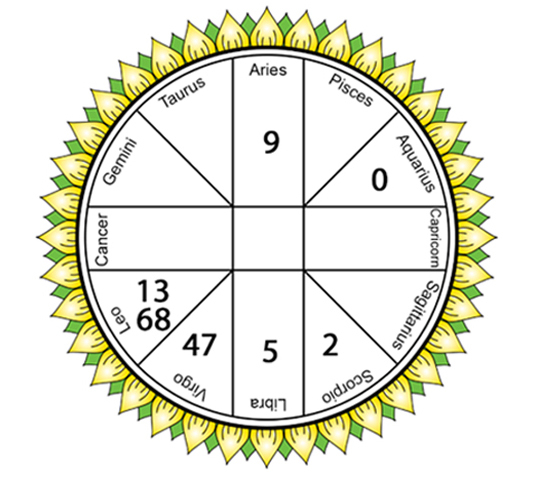 We have spent an extensive amount of time in studying an assortment of things related with astrology Singapore. We have attained a formal education about astrology, and we are in continuous search for the new knowledge and skills that will enhance the way we translate the message of the universe. As experienced astrologers, we can precisely decipher the things that you can, or you can’t accomplish. We have people who are creative and engaged in their practice who are encouraging people to live according to their charts. Our work is concentrated upon finding genius and creativity on your astrological chart. Our astrology Singapore can tell you about the things that you should expect and how you can ultimately find a satisfaction on your life. Research work that is involved in studying your natal chart requires an unprecedented detail. It requires a careful fine tuning and profound understanding on math which can create a difference on the future events. With our astrology Singapore, we will be analyzing the data on your chart that will lead to an accurate interpretation of facts. We are committed in keeping the whole conversation private. We are very much mindful about the information that our client wishes to stay private. In addition, we can also help you deal with your issue, but we will not force you to face these matters in case you are not yet ready. We highly know that our astrology Singapore should not just be about dealing with the negativities and problems. It is about dealing with these issues at the right place and right time. How we approach our astrology Singapore practice matters. It should be able to provide a lasting and important value that will play a significant role on your decision and future. What do I need to provide during the Astrology Consultation Service? Birth Details (Date and Time) as recorded in your Birth Certificate, and areas that you want to focus on. What is the fee for the Astrology Consultation?